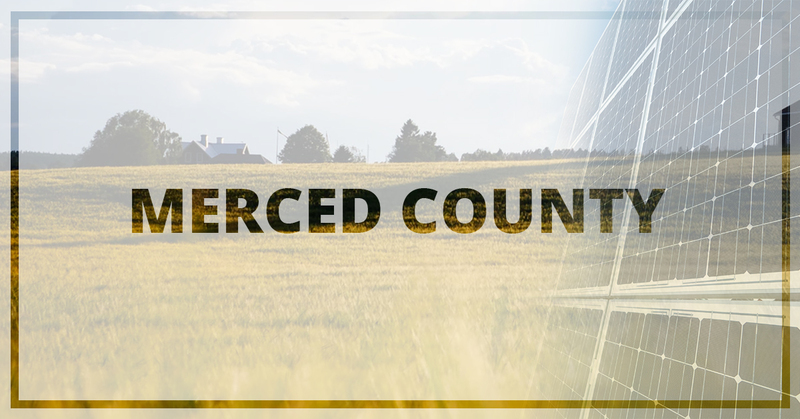 Did you know Merced is one of the fastest growing counties in the entire state of California? As the area grows, the need for energy does, too. What does this typically mean for energy? Prices will continue to rise, utility bills will increase, and the home and business owner will stretch to find ways to save money to keep their lights on. What if you didn’t have to struggle because of the energy market? At West Coast Solar, we strive to keep solar simple. We offer design, installation, and maintenance for solar power systems to residents and business owners in Merced County and the various municipalities in the area like Merced, Los Banos, Atwater, Livingston, and beyond. If you’re ready to talk about making the switch to solar power, give us a call today! Why Power Your Home with Solar Energy? Environment: You may have heard that global warming is an issue. Whether you believe this to be true or not, carbon-emissions have been measured and shown to be at an extraordinarily high level in comparison to what they were even three decades ago. When you make the switch to solar power, you reduce carbon emissions from your home or business substantially. Financial: You will find various types of solar power initiatives in the state of California, in your given municipality, and through the federal government to help with the upfront costs of purchase and installation. A common initiative is the Solar Investment Tax Credit (ITC) to assist with upfront costs for your solar system. At West Coast Solar, we keep solar simple for homeowners. Our mission is to make sure they’re meeting their energy, financial, and environmental goals in relation to solar power. Our expert designers and professional technicians work with our clients from first phone call to final component to ensure satisfaction and functionality. If you’re curious about how you can get your custom solar system designed for your home, give us a call today! West Coast Solar strives to work with commercial businesses in the area to make the switch to solar power. We believe the future of energy will utilize renewable energy sources more than any other source. This means as we build relationships and help businesses, we’re creating partnerships to conserve the environment and increase carbon-emission awareness. When it comes to financing, there are a variety of ways for businesses to take advantage of green energy. We’re here to make solar simple. If you have questions or are ready to get started on your solar system design, whether for a business or a home, give us a call today. We’ve been serving Merced county and beyond for years. West Coast Solar believes renewable power sources like solar are the future of energy for the entire globe.